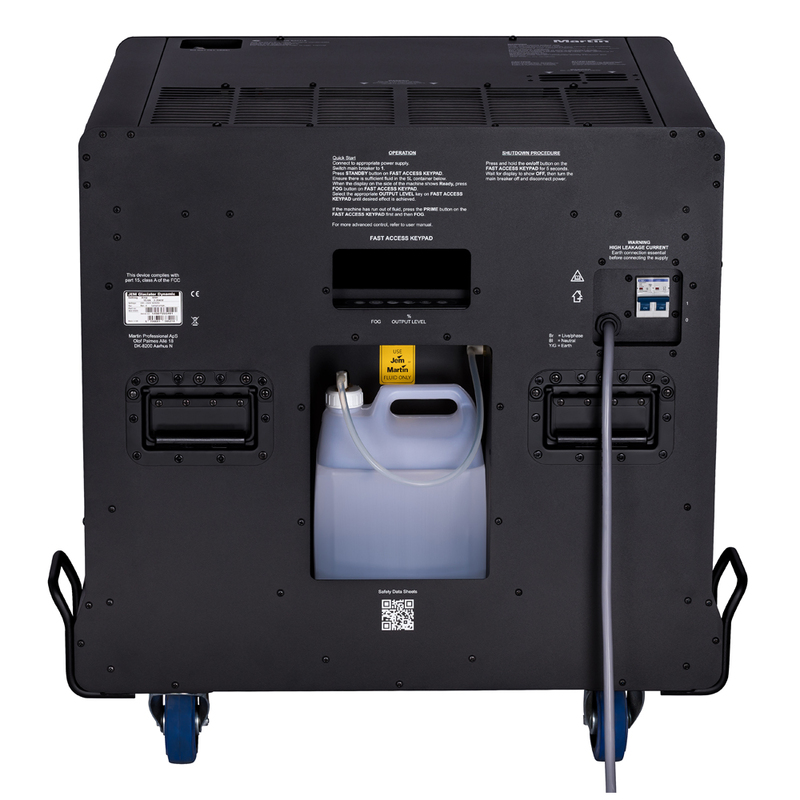 Smaller, quieter, and capable of taking low-fog to more locations—the live event industry’s leading low-fog machine returns with its most significant upgrade in over a decade. 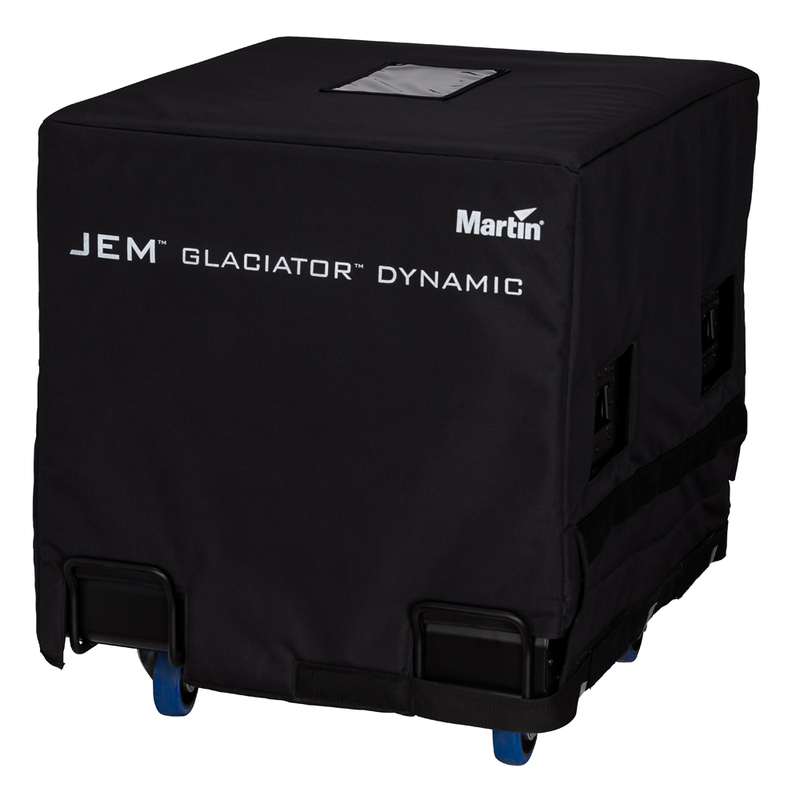 Martin JEM Glaciator Dynamic is your complete solution for creating dense, billowy clouds of low-lying fog in any venue without the use of industrial gases or ice. Achieve lush fog on stage with longer-lasting effects. 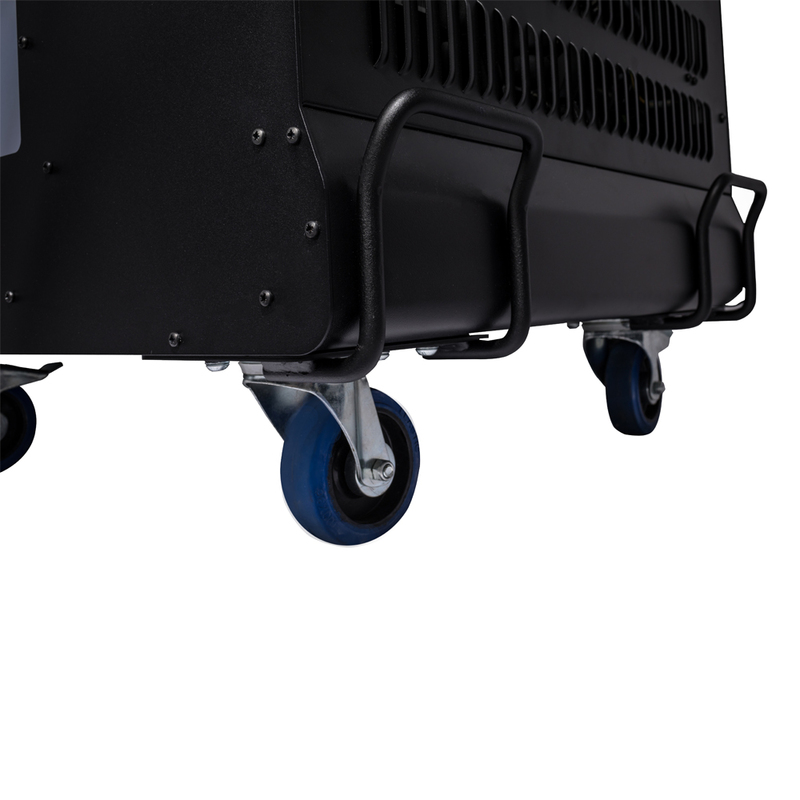 Reduce noise with near-silent operation, perfect for theatrical applications. 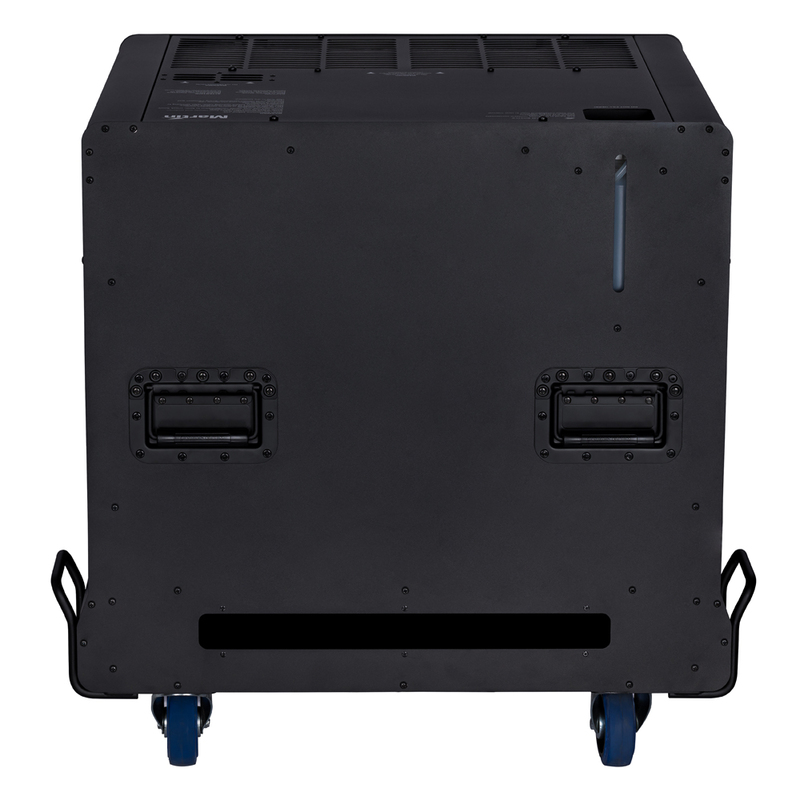 Enjoy more room backstage with an all-new, more compact design. 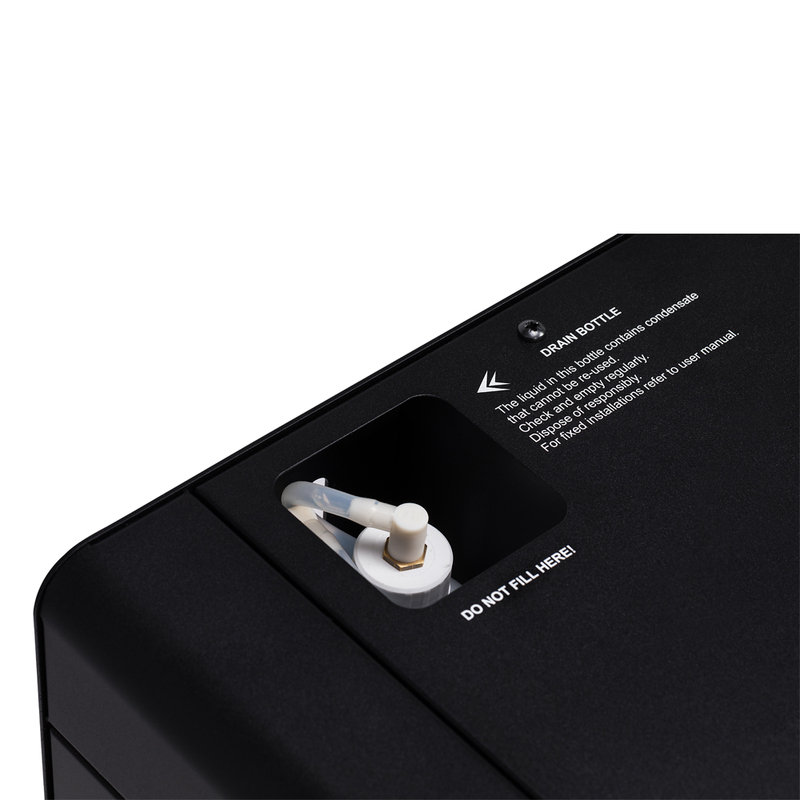 And tour the world with an updated universal power supply. 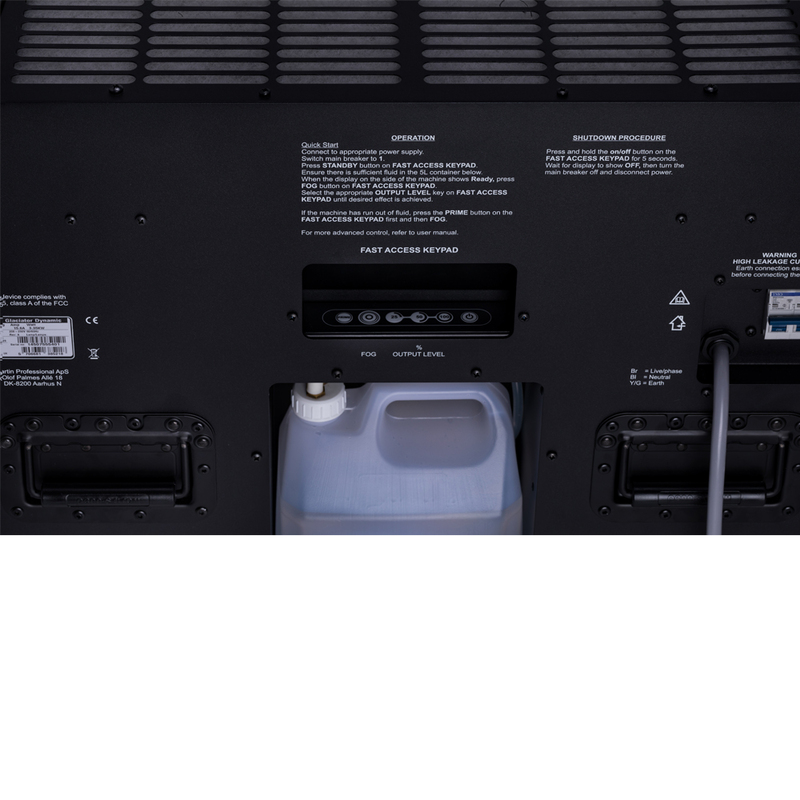 With a full range of premium accessories, three low-fog fluid types to choose from, and streamlined user controls, you can create dramatic atmospheric effects for your production in moments. Just plug in, set the stage, and amaze. One solution for perfect low fog. 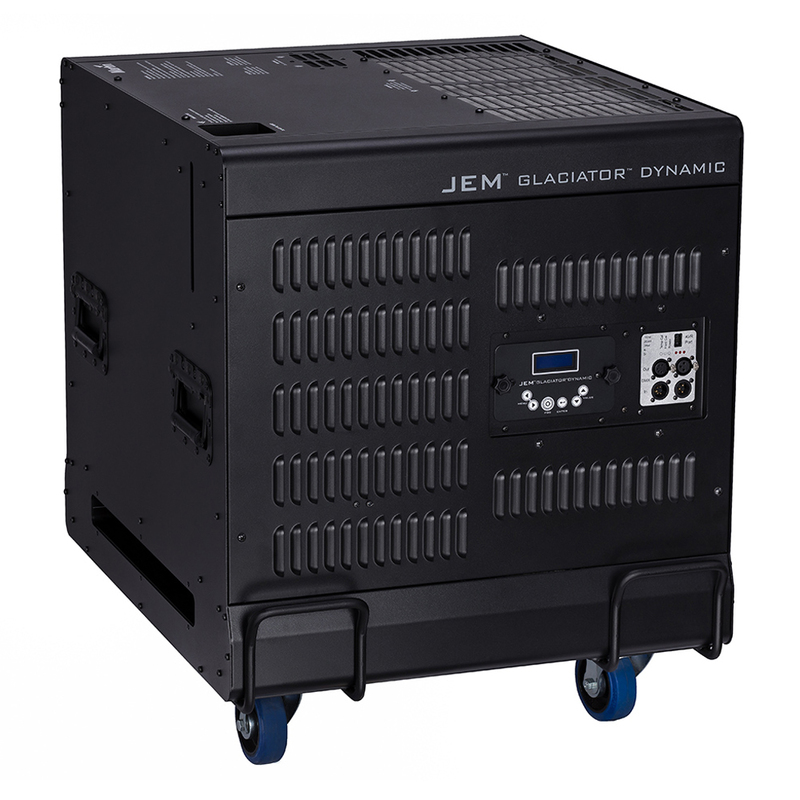 Nothing meets the combination of effect quality, simplicity, and return on investment that JEM Glaciator Dynamic provides. 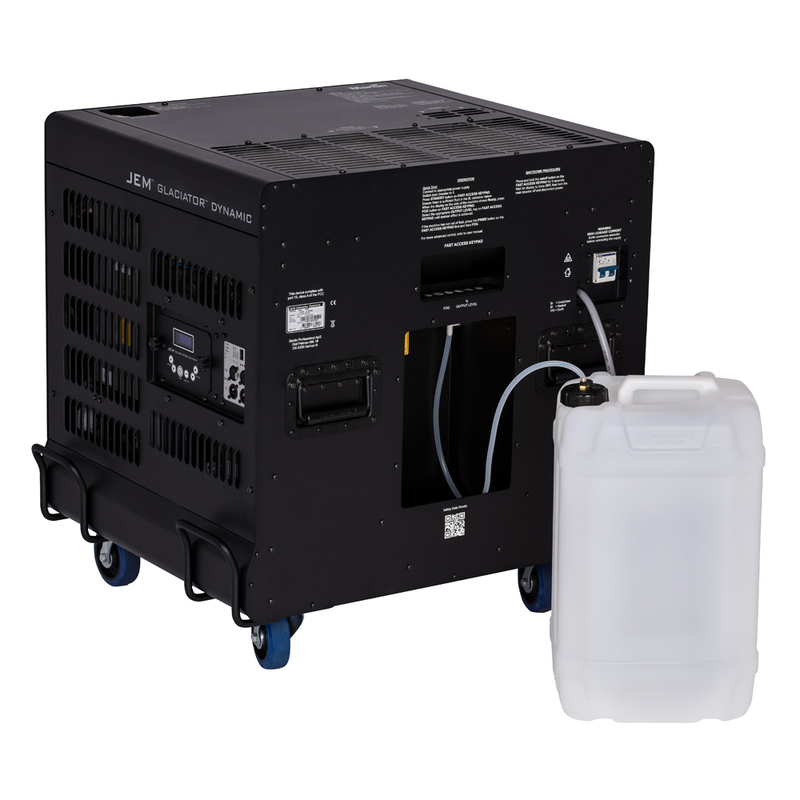 The self-contained design uses JEM premium low-fog fluids to create the most realistic low-fog effects available without the need for bulky industrial gas tanks or expensive ice deliveries. Just add fluid and achieve a lush blanket of pure white low-fog for every show. No wonder JEM Glaciator is the most specified low-fog effect machine in the world. *Figures are typical, not maximum. Measurements made at nominal voltage, allow for a deviation of +/- 10%. 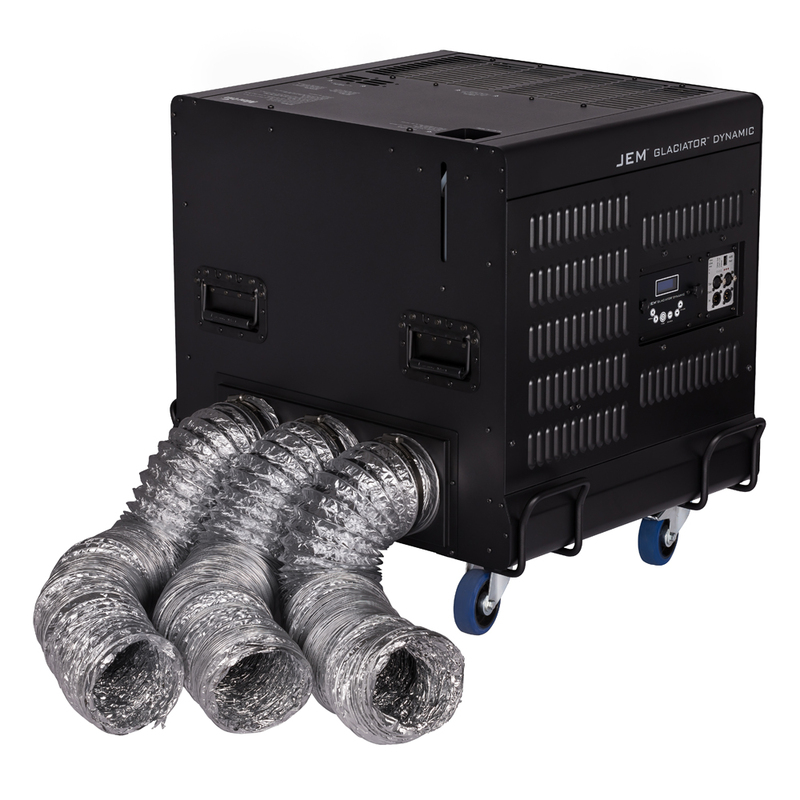 Total heat dissipation, idle (calculated, +/- 10%): 2241 BTU/hr. 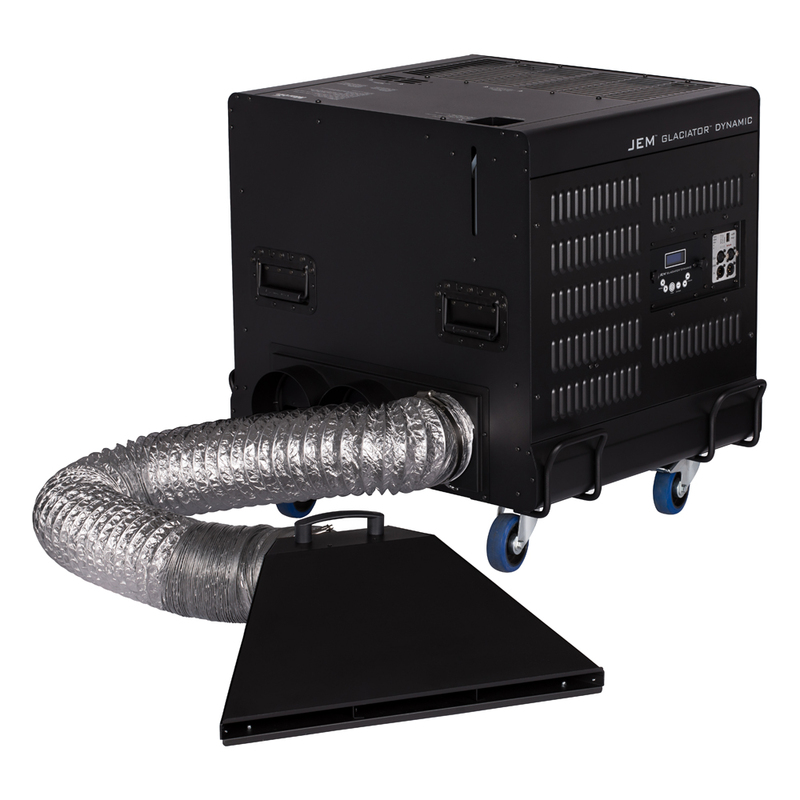 Total heat dissipation, full load (calculated, +/- 10%): 11430 BTU/hr.